Helena Ramalhinho had presented the article “Simheuristics for Supply Chain Management” at the IO2015 – XVII Congresso da APDIO “IO & BIG DATA ” in Portalegre, Portugal. 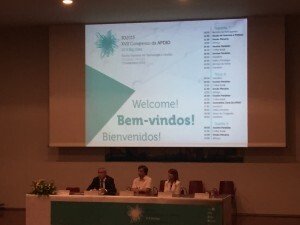 This is he international conference organized by APDIO, the Portuguese Association of Operations Research. Supply Chain Management (SCM) is a relevant topic in today’s business and academia. It is related with the management of all activities along a supply chain. SCM is not just a sum of activities along the supply chain, but aspects as integration and coordination should be taken into account to a better performance. The efficiency of these activities can have a great impact in customer`s satisfaction and cost reduction for the business involved. Maybe decision problems can be found in this topic, which are usually of great complexity and dimension. In this chapter we briefly review the concepts and issues in SCM and identify relevant decision and optimization problems that can arise in SCM. Due the characteristics of these problems we argue that Heuristics and Metaheuristics are one of the best optimization tools to solve and provide business insights for the SCM problems. We describe some relevant applications and present future areas of applications of Metaheuristics to SCM optimization problems. We can observe that even SCM is a popular in the Business Literature, and we foresee a large number of applications of Metaheuristics to SCM due basically to new trends as Open and Big Data, Smart Cities, online decision making, etc. Joint work with A. Juan (UOC) and M.G. Ravetti (UFMG). This entry was posted in Research on September 12, 2015 by lena. Ready for a SMARTer World? Are Big Data & Analytics shaping a smarter society?